Abdo Development is pleased to present Abdo Hospitality as part of its real estate offerings. Abdo first delivered the White Moose Inn in Historic Washington Virginia. Abdo's next hospitality property was the introduction of a new and nationally trademarked brand, The Hotel Hive. 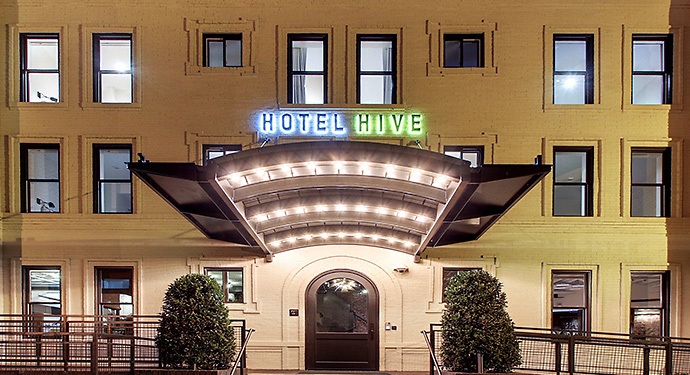 The first Hotel Hive was delivered to the nation's capital in 2017. This continues Abdo's pioneering history as an industry leader, delivery of the first micro life style hotel to Washington D.C. Abdo Development is actively working on the next hotel offering in Washington, D.C. and exploring other locations to expand The Hotel Hive brand.